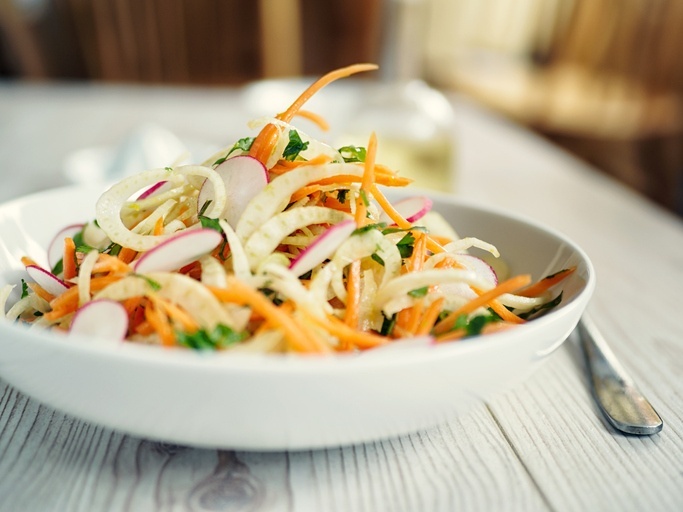 This light and crisp, not-too-creamy coleslaw salad is great with any barbecue meal: beef, chicken, or fish! Add a dash of hot sauce to mustard mixture for extra spiciness. Combine cabbage, onion, and 1 cup carrot in a large bowl. Combine white wine vinegar, sugar, mustard, mayo, salt and pepper, and red pepper in a small bowl. Stir well with a whisk. Add mustard mixture to cabbage mixture and toss well to coat. Cover and chill for 20 minutes.